Zones 4-8 Mature Height: 10-25 ft. Mature Width: 10-25 ft. Growth/Year: 3+ ft. Sunlight: Full Sun Soil Conditions: Adaptable to various Soils. 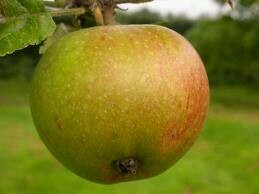 Fruiting apple tree-The fruiting apple tree is a massively grown plant. This plant grows around 30 feet high producing wonderful fruit. There are no native apple trees but the plants grow very well here.